This converts the GUID from the IFC version to the .NET version. This node grabs the ID values from two IFC files and tries to report the new or deleted items. 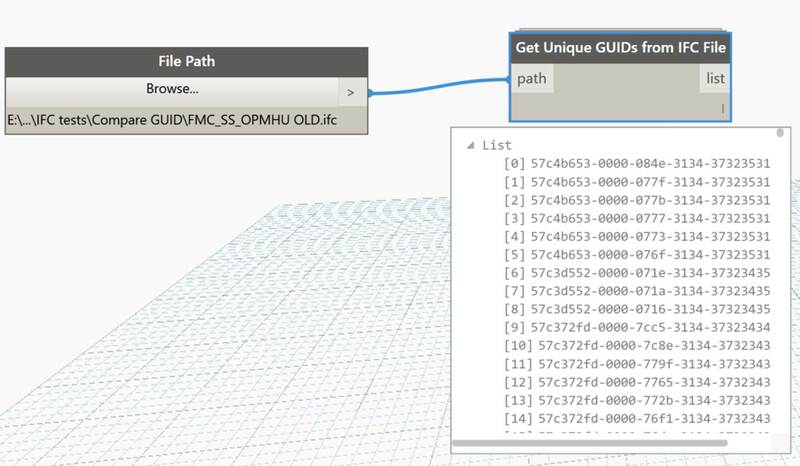 This node snips out the ‘ID’ component from an IFC file through simple text methods. 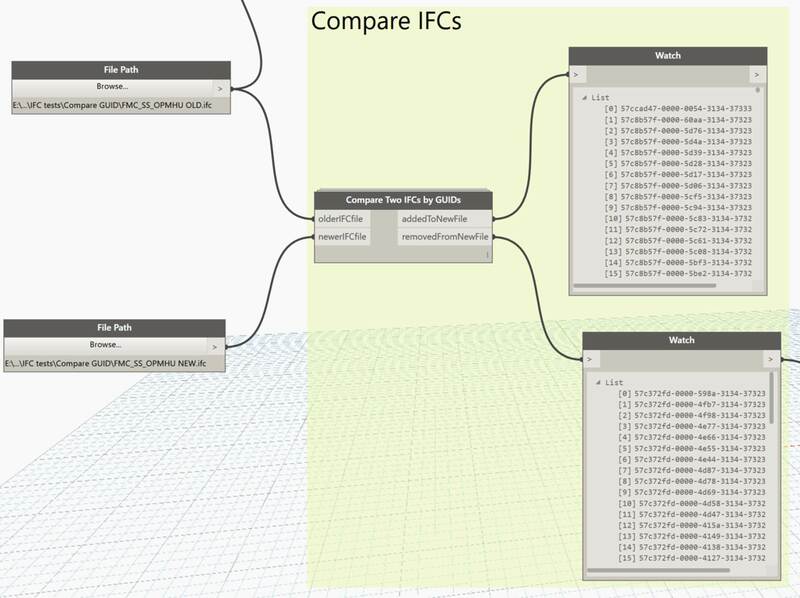 I found some Python IFC schema reading code and adapted it for use in Dynamo. It took a bit of work and isn’t perfect yet, but basically it just takes a path to an IFC file, and a schema definition, and attempts to unpack the information from the IFC file into lists. The original code was set up to search by dictionary method (which would be faster), but I kept hitting some errors because the schema defines more attributes than are typically defined by a Revit IFC export. I have output these attribute discrepancies in the ‘attribute read status output’. In the end I made some ‘long lists’ which could be queried in various ways. This node will be available in Bakery package, in the IFC group. I had a simple question recently: How do I get some DWG or DXF geometry into Dynamo to do some simple tasks, like placing families at points in Revit? I looked for the DWG import nodes, until I realised they only come with Dynamo Studio. Then I realised that Dynamo Studio doesn’t run on top of Revit. Weird, huh? 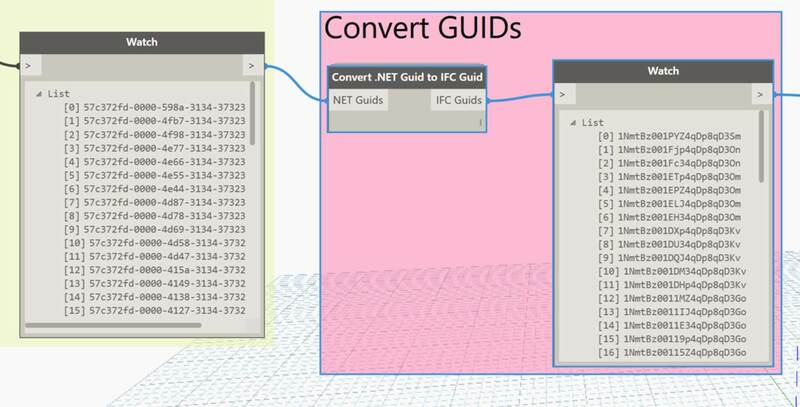 You can import in Revit> select file> and query geometry. So, by simple selecting the Link or Import element in Revit, we can use Element.Geometry to unpack its geometry. This method would likely work with any other CAD format that Revit can Link or Import, such as SAT, SKP or DGN. I had tried some more challenging workarounds like going via Flux, but sometimes the easiest option is the best.